Easter is just around the corner and every year I create special Easter baskets filled with custom cookies,candies, and other treats. 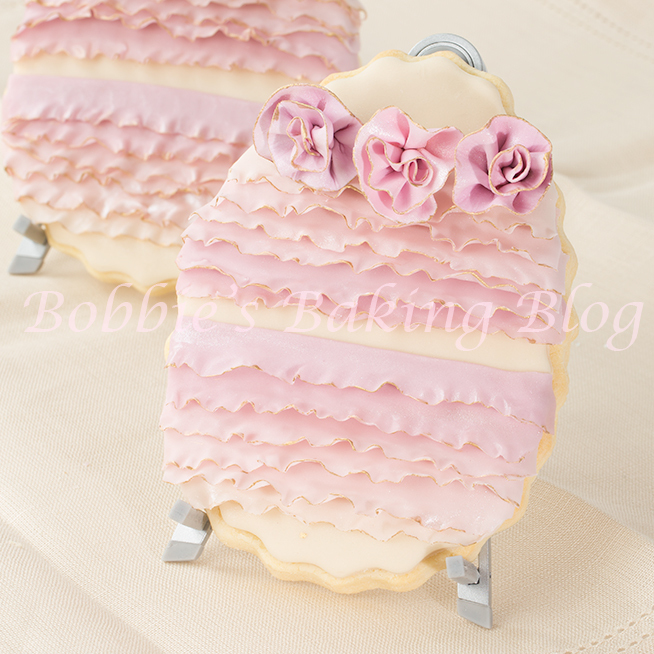 I found this large egg cookie cutter and visioned an exquisite frilled sugar cookie with a light ombre effect. After applying the design I realized it resembled a Halcyon Day’s egg DF had given me yeas ago. (I collect them). My china cabinet has become a place of inspiration for cake decorating lately. Easter Sunday is April 20th, and will be here before you know it. 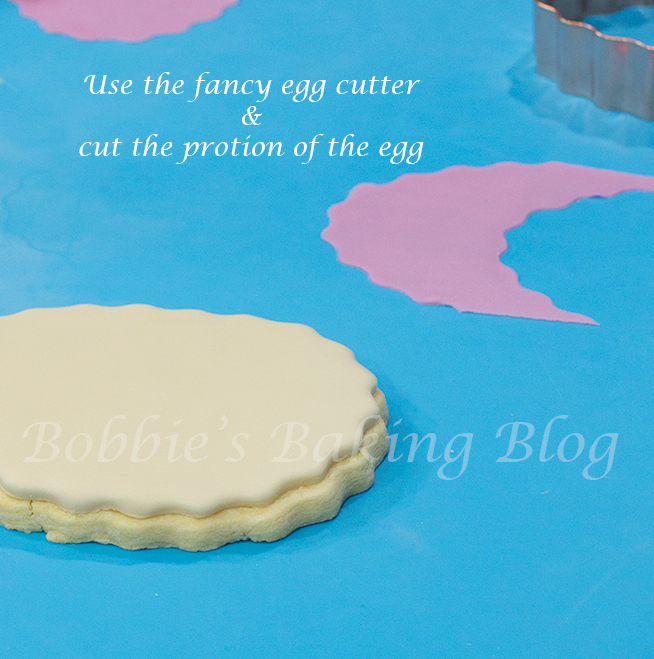 I thought I would be fun to give an Easter tutorial to help inspire your creative baking. If you leave a large space in the centre you could pipe Happy Easter! Wait at least 2 to 3 hours from baking your cookies to decorating them. Gather your supplies and monochromatic colors. 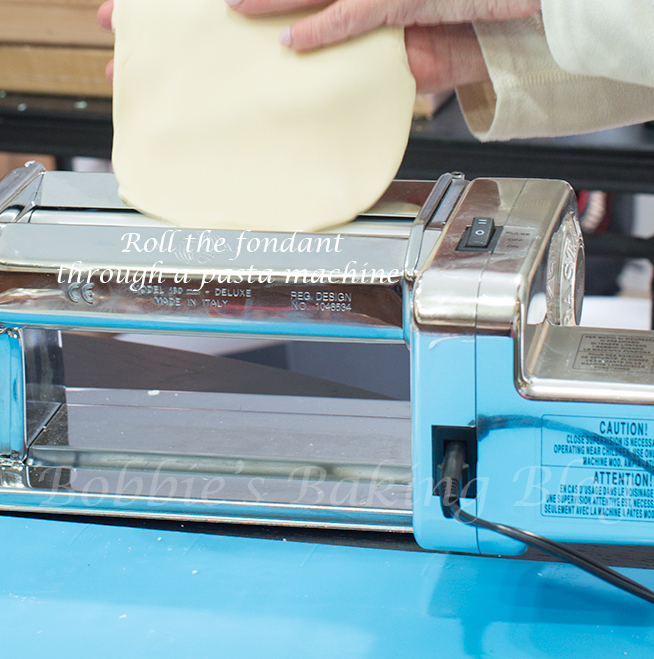 Roll your softened antique white fondant and place in your pasta maker, roll only to 0. 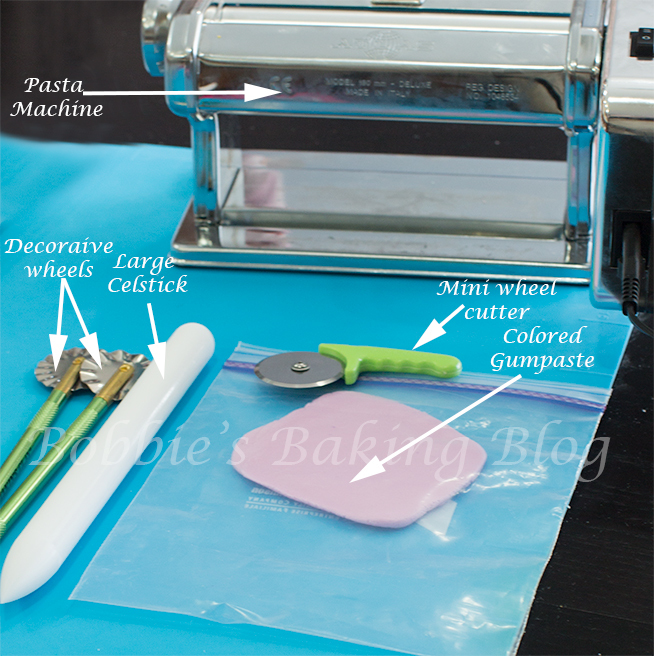 (If you do not own a pasta maker roll the fondant to 1/4-inch by hand with a fondant rolling pin). 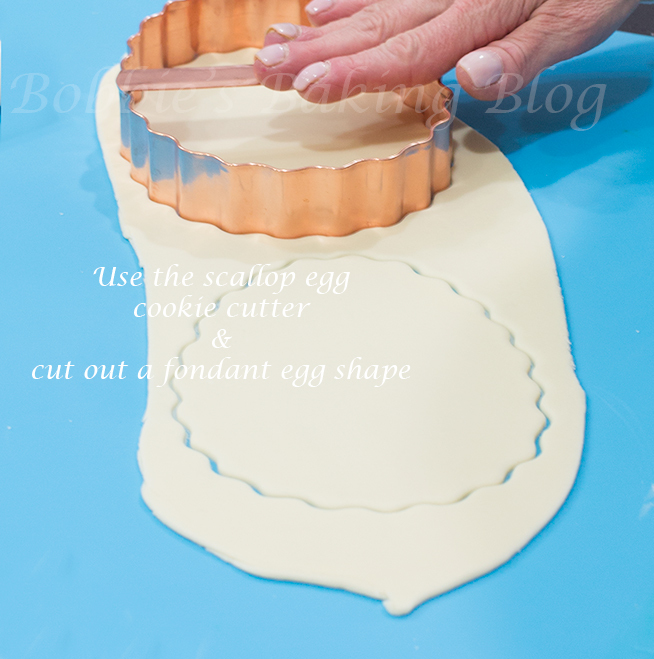 Cut the rolled fondant out with the scalloped egg cutter. 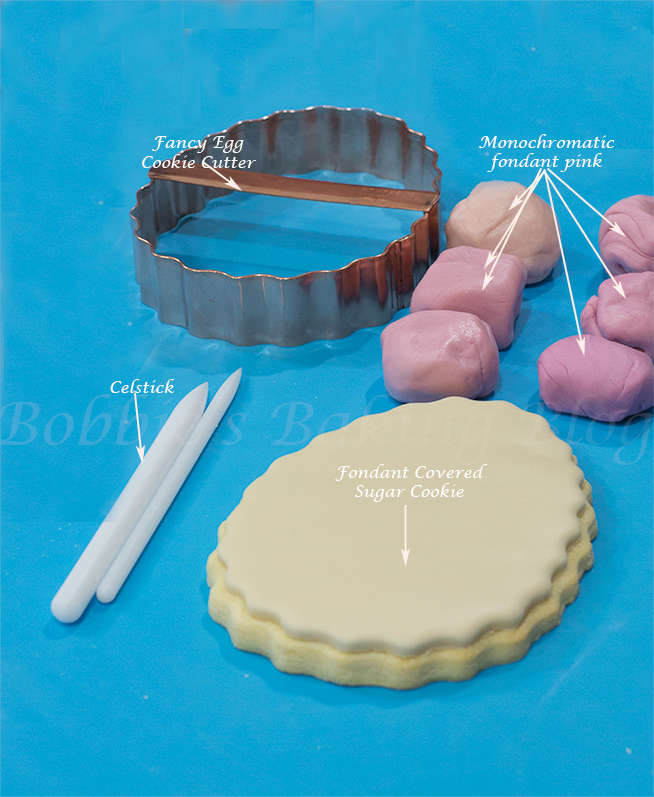 Take your “naked” sugar cookie and apply, with a brush, piping gel, align the fondant scalloped egg with the egg cookie, gently smooth the fondant with your hand from the middle to the outer edge, and repeat with fondant smoothers. 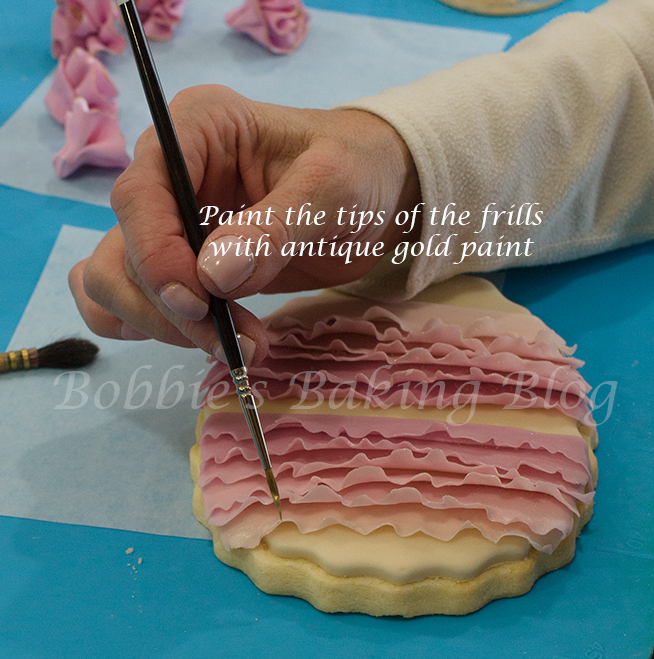 You will not need to let the fondant dry to add the frills. Started in the middle of the egg with the darkest monochromatic color going to the lightest towards the top of the egg and leaving a strip of antique white and then proceeding with the darkest monochromatic color going to the lightest towards the bottom of the egg. Think of painting strips of a boiled Easter egg. 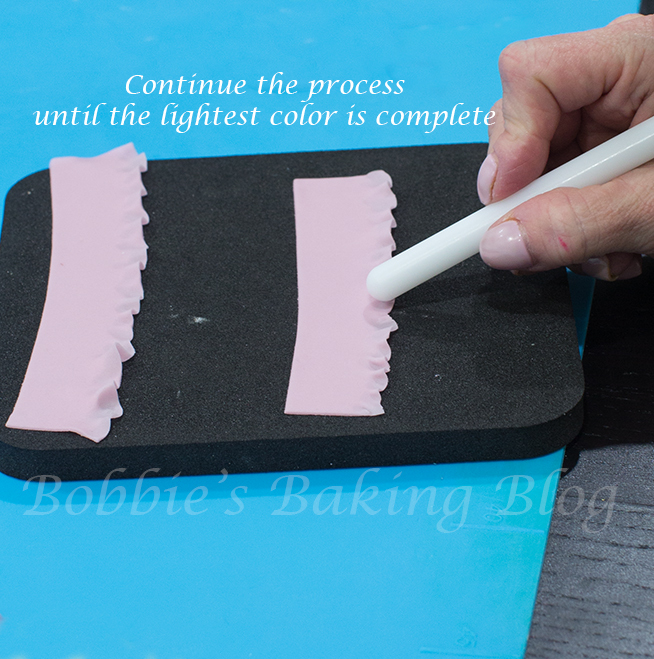 Roll the darkest color of pinkish-purple, place in a pasta machine and roll to #6, you want the fondant to be see through and very thin. 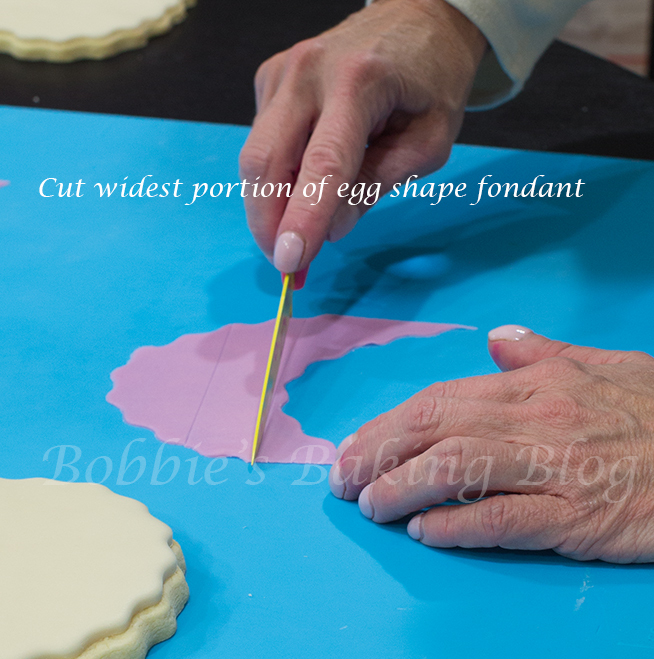 Use the scallop egg cutter and cut from the middle to the top, cut a strip from the widest part about 1/2-inch wide. 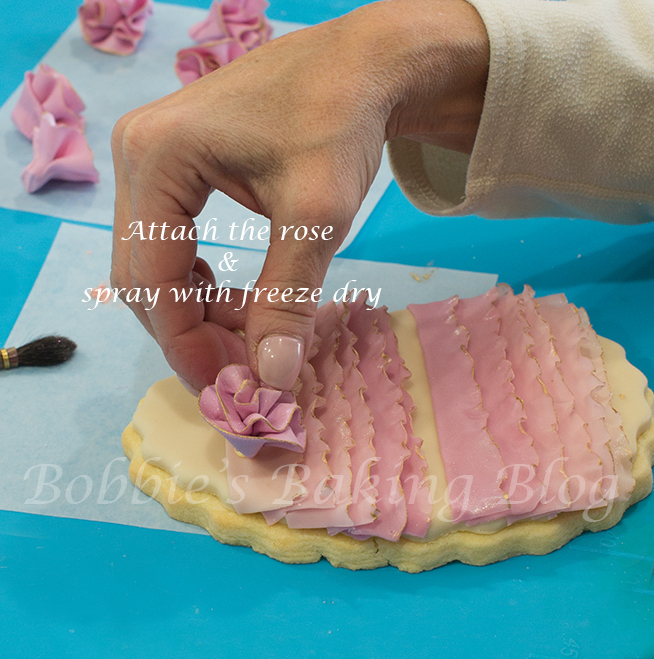 Transfer the fondant to a foam board and using your medium Celstick frill the bottom. 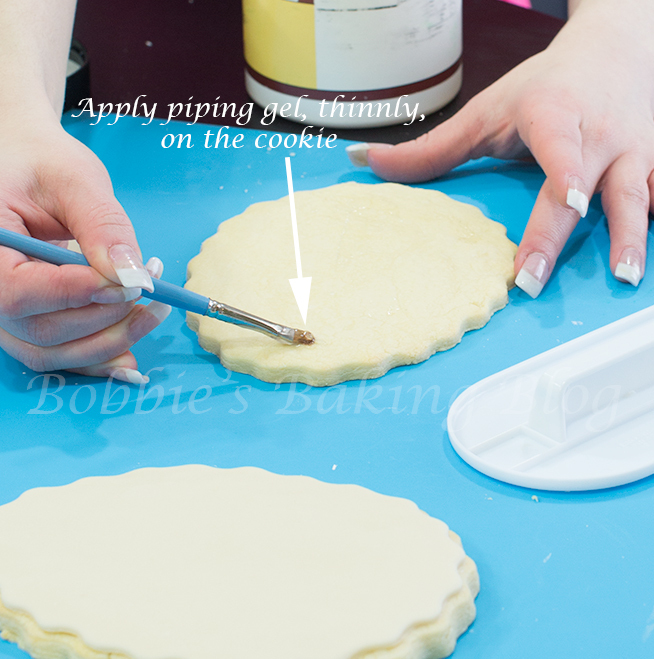 Brush a small amount of edible glue to the back and place slightly above the middle of the cookie. Gently smooth the band to attach. Repeat with each color, make sure the colors stay in order from darkest to lightest. 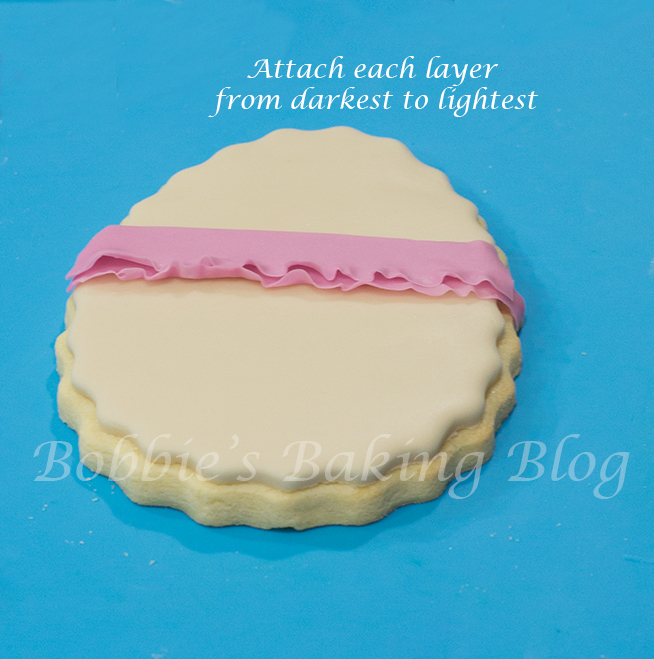 For the bottom half place the lightest color 1/2-inch up from the lowest portion of the cookie, make sure to add the frilled monochromatic colors lightest to darkest. Ideally you should have antique white showing on the bottom, top and middle sections. Open the frills, starting with the first band and place on a small book reader stand upside down. 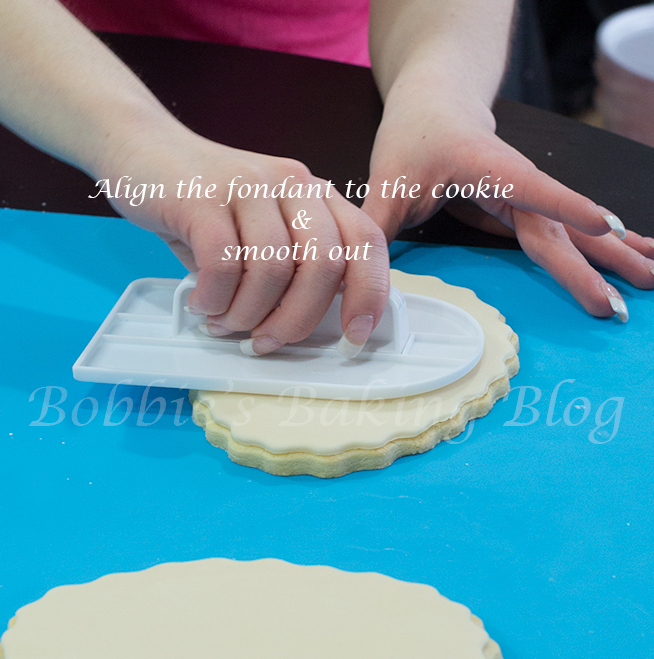 By allowing the cookie’s frill to dry upside down the frills remain open. The frills open with a following movement! Prepare your mise en place. The pasta machine is optional! 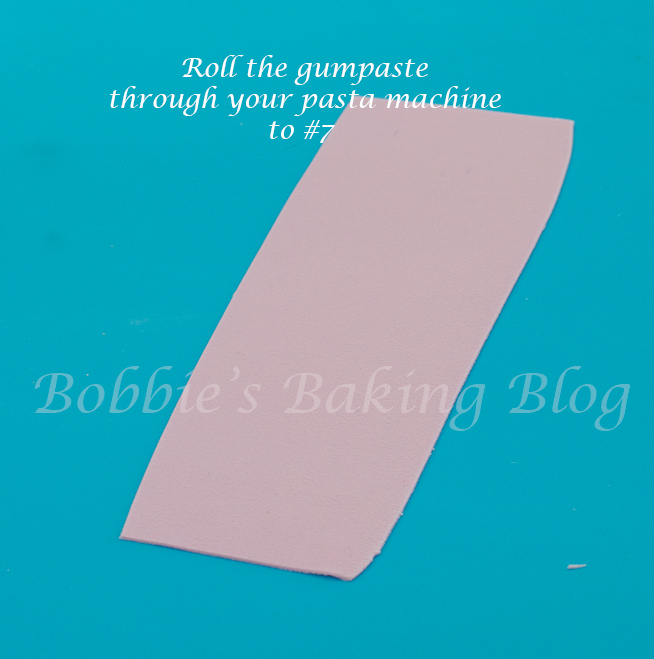 Place the well kneaded rolled gumpaste in a pasta machine to #7. 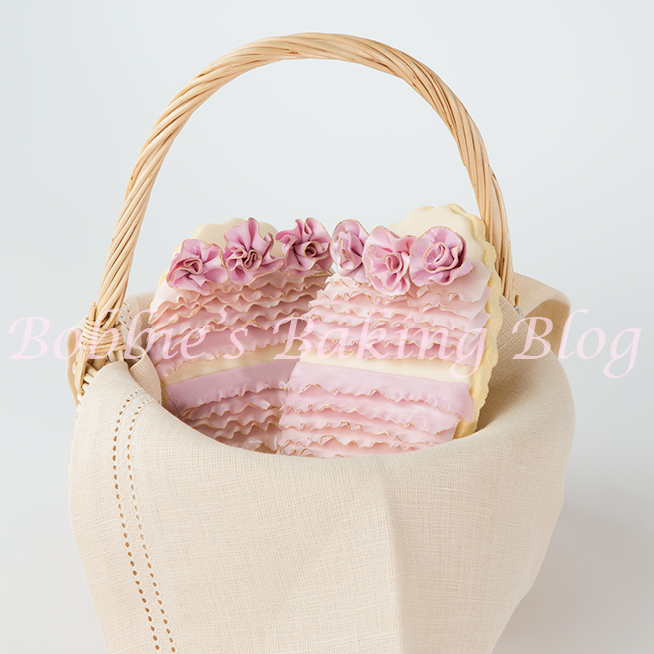 For a detail tutorial visit Gift Box Cake. 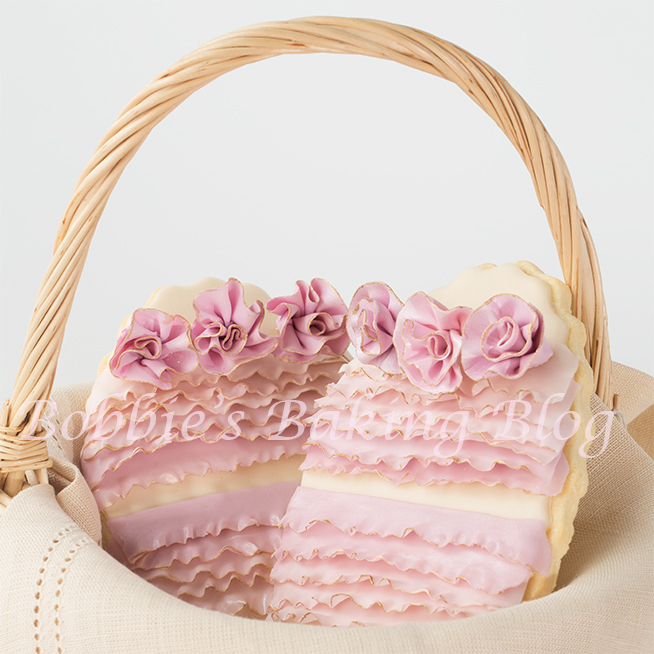 Once all your roses are frilled, wrapped, and dried it is time to petal dust the roses and the frills on the Easter egg cookie! 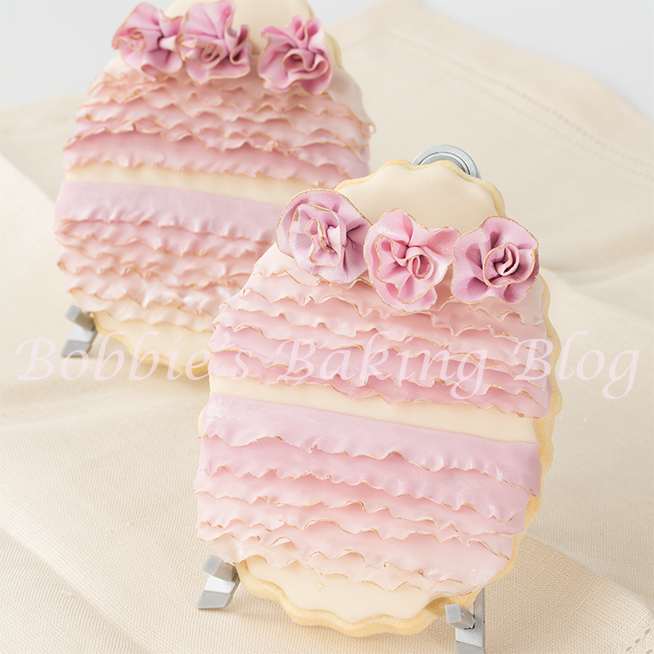 Three rose fits perfectly on the Easter egg cookie. 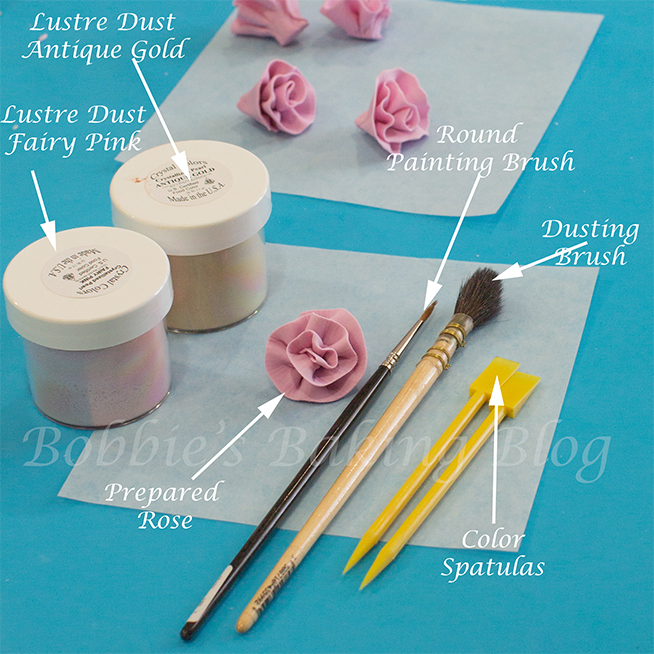 You will need a soft cosmetic brush(never used with cosmetics) or a very soft mop artistic brush! 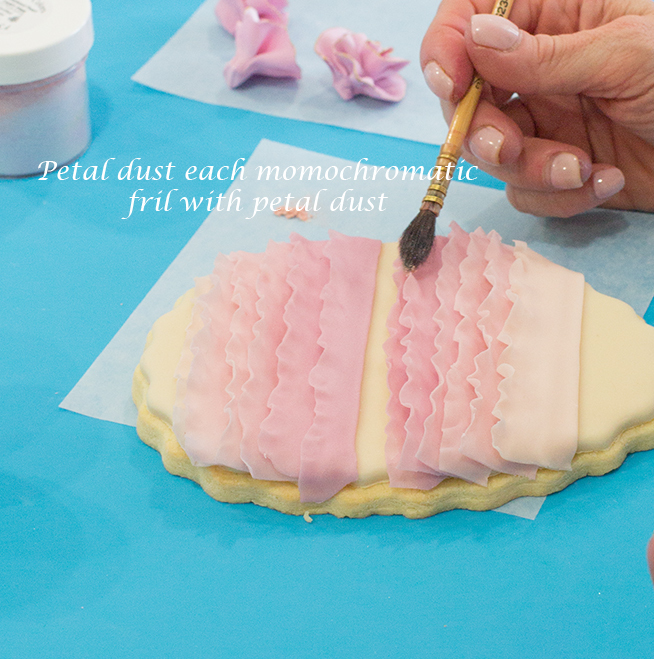 Start with the cookie frills, gingerly petal dust the frills with fairy pink petal dust, be very gentle the frills are fragile due to the thinness. Once all the frills are dusted to your taste mix your antique gold paint. Place some antique gold in a small container add a few drops of vodka and swirl until the vodka and gold are amalgamated. You do not want the paint to be too thin, nor too thick, if the paint coats the bottom of the container with slight rippling the consistency is great. With a round #2 brush paint the edges of the frills. 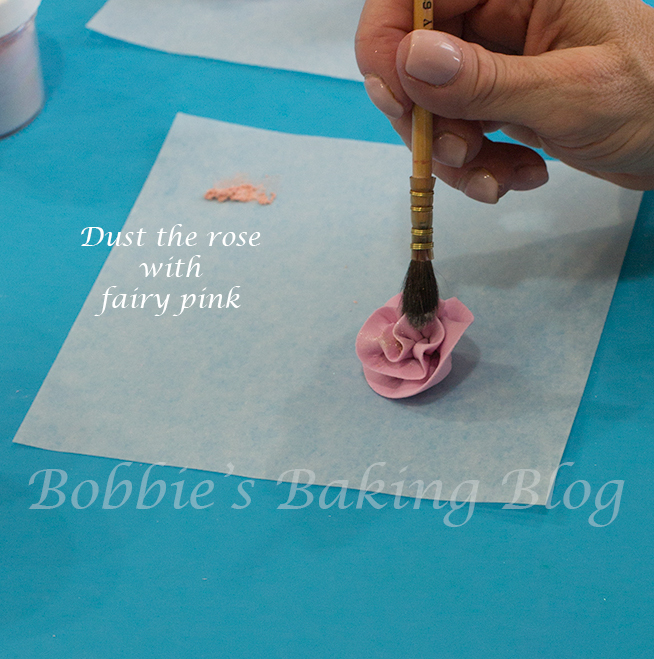 For the rose petal dust with the fairy pink starting in the center of the flower, the darkest color should be in center and become light as the petal blooms outward. If the gold paint has thicken (alcohol evaporates) and a a drop of Everclear (or lemon extract) at a time until the consistency is right. 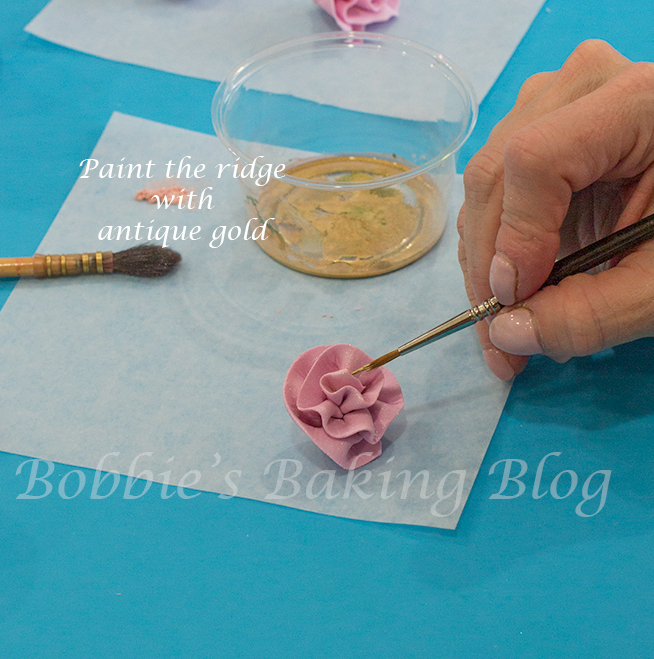 Using the #2 brush paint the outer edge of each petal. 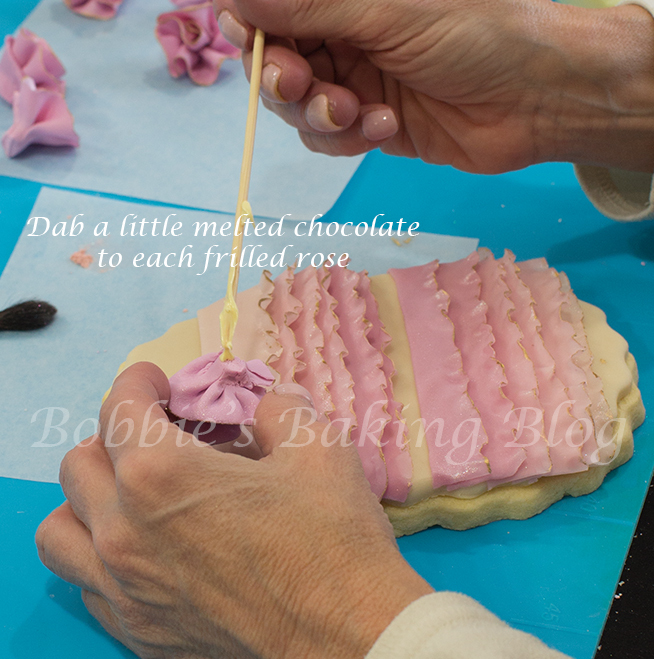 You can either use stiff peak royal icing in a cornet or melting chocolate. 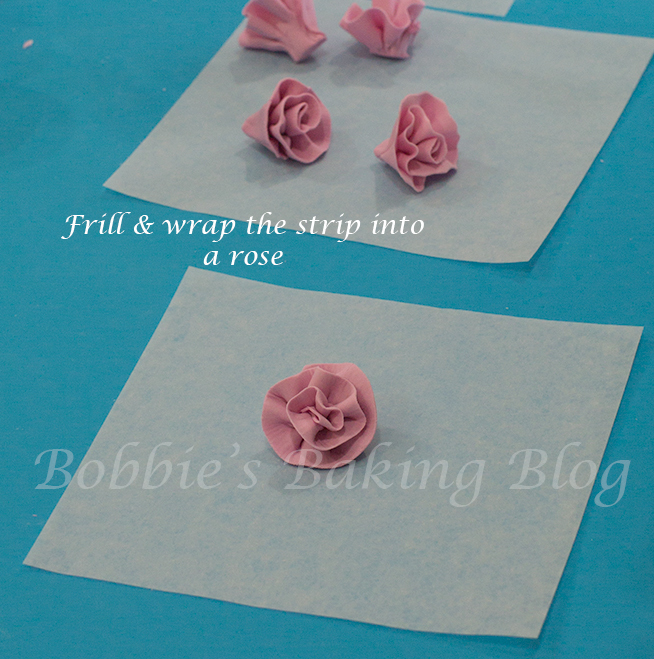 place them on the top frill and spray with freeze spray. I would love to see your inspired frilled Easter eggs. 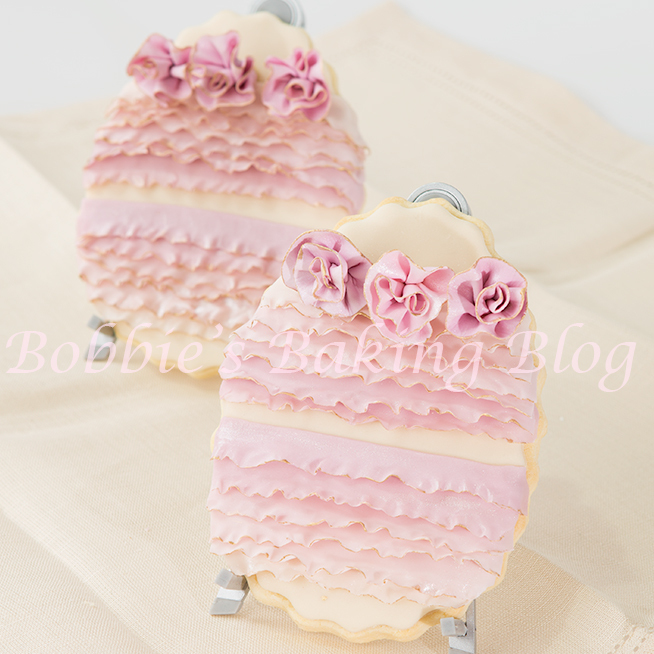 For a sweet effect place the Frilled sugar cookie eggs in a basket! These are gorgeous! Thanks, great tutorial!